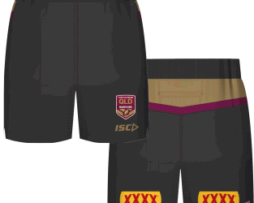 Place your order for highly comfortable, cotton made State Of Origin shorts right now! Many styles and sizes available for both, Bluesland and Maroonland. Go through our huge selection and choose to buy the most suitable pair to support your favourite team. I just wear them to work! Get set to encourage your time right now!